Here's Redline, a heavy metal band from Birmingham England, with their debut album, Vice on the Escape Music label. 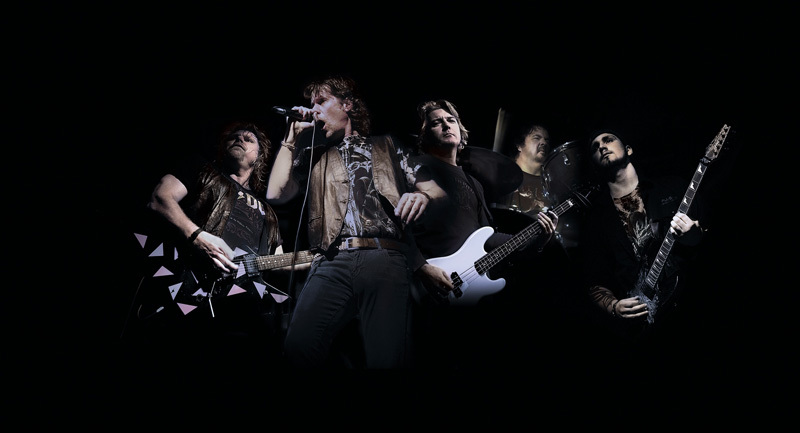 Their style is one of classic melodic heavy metal informed by a good hard rock groove. At times, spinning this album, Redline reminds me of late Eighties Dio, if only because of vocalist Kez Taylor's style. He doesn't necessarily sound like Ronnie James, but there's a curious timbre to his voice which, combined with the music on Black Sky for example, echoes the band. Redline offers some hard charging numbers like Battle Cry, No Limits, and the tribute to the Isle Of Man TT Motorcycle Races, King of the Mountain. They slow the speed a bit and bring a deeper groove on Twisting the Knife and High Price to Pay. 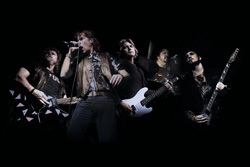 Edge of Falling reminds more of heavier melodic rock, nearing an arena anthem. There's something akin to a ballad in Cold Silence, at least at the start with violin and cello provided by Jimmy Lea from Slade. But it eventually erupts in a catchy soaring rocker. The album rounds out with Redline's rock call to arms, We Came to Rock. In the end Vice is immensely impressive melodic heavy metal from a talented crew. Strongly recommended. 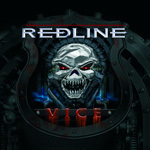 Redline's Vice is immensely impressive and entertaining melodic heavy metal from a talented crew that wants to rock. Strongly recommended.